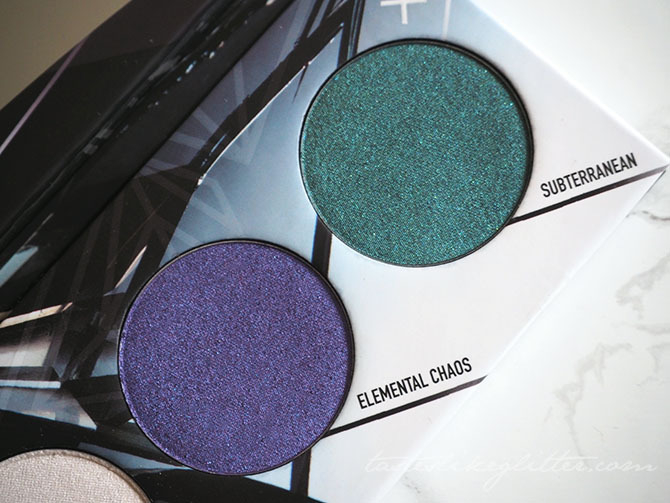 If Sugarpill is known for anything it's their brightly coloured matte shadows and their stunning metallic pigments. When they decided to put them both together and create metallic eyeshadows I couldn't wait to try them. 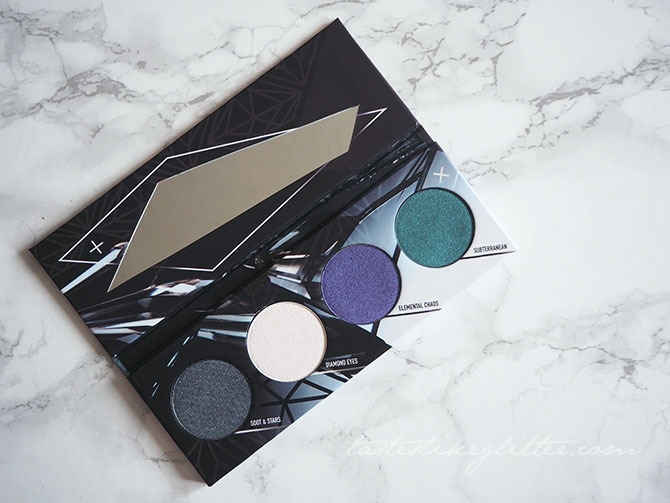 The Cold Chemistry palette contains four pressed shadows in a range of cooler tones. The shades are available in a palette for £24.95 or as single shadows at £8.95 each so buying them in the palette gives you quite a significant discount. 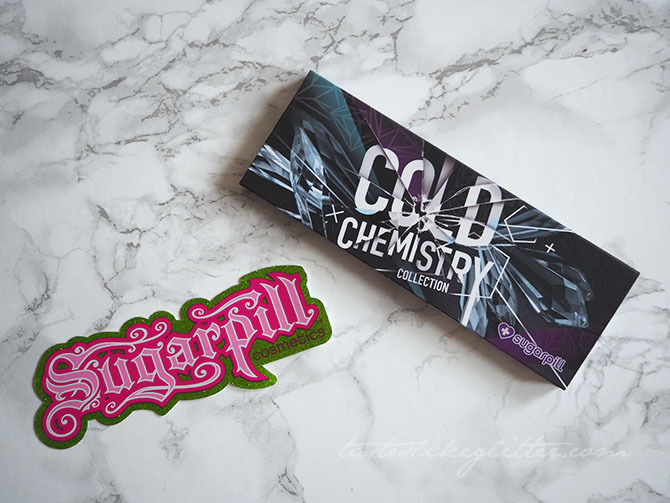 Both the palette and the singles are part of Sugarpill's permanent lineup. Soot & Stars is a deepened charcoal, that isn't quite black. It's packed full of micro glitters and has a pearly finish to it. It reminds me of Dagger from the Urban Decay Smoky palette. 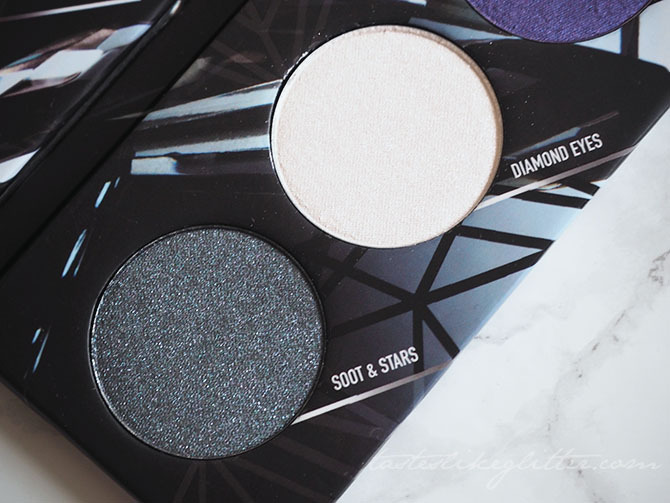 Diamond Eyes is a bright white with a frosty finish. It can look a little sheer but it's buildable. If you're going for a strong metallic white it would work well over Sugarpill's Tako, which is a matte white. Elemental Chaos is a medium purple with a frosty finish. 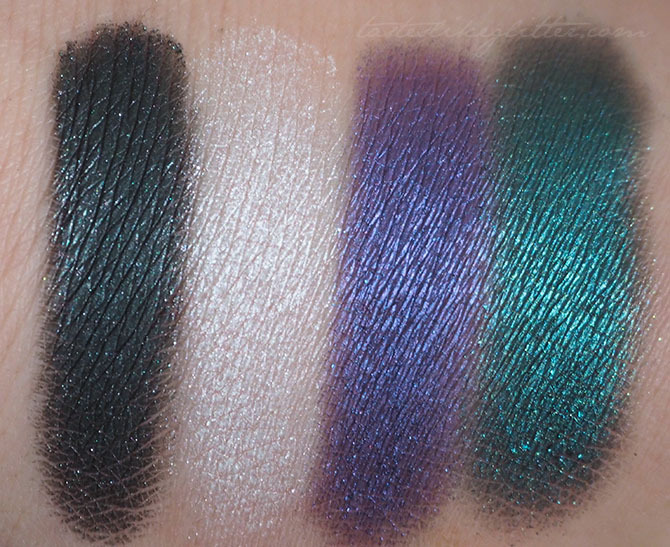 Subterranean is probably my favourite shade in the palette. It's a smoky green shade with teal shimmer that makes the colour stand out when the light hits it. As I expected the shades are buttery soft, being that they are metallics they're somewhat softer than Sugarpill's regular matte finish. They blend out with very little effort, perfect if you're looking for something that can create a quick eye look that makes a statement. On the flipside I feel like you could lightly dab these on to create something a little less intense. I love Sugarpill as a brand and this is a palette that really doesn't dissapoint. It's slightly different from their vivid matte shades so if those are not something you feel you can wear, I really recommend the Cold Chemistry colours. Either as singles or as a quad, the shades go really well together and create the most beautiful smoky eyes.